What is a Sun Tunnel or Solar Tube and how does it work? Either a flexible or solid tube directs natural light or ambient light through the tunnel to a diffuser (opaque double glazed ceiling tile) which can be positioned on your ceiling where the light is required. Do They Do What It Says On The Tin? 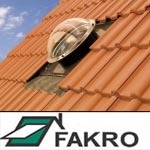 Layton Roofing & Building Specialists have been fitting them for many years. The results can be very surprising even if you’re used to seeing the before and after results. If you have been installing sun tubes for a living like Layton Roofing do it can often be a difficult balance to advise a customer on how good a sun tube will be without either overselling it and setting up for a disappointment, or under selling and putting a client off unnecessarily. No one wants to see an unhappy face after the completion on a job, and so far everyone has been pleased with the results. Which Manufacturer Of Sun Tunnel Is The Best To Use? Important questions, and I will try to answer in the simplest possible way. Over the years I fitted a few different brands of sun tube that employ slightly different strategies for capturing light, and they will all argue with percentage figures to back them up that their system is the best. This can make choosing a sun tube quite confusing. I can honestly say though they are all fairly comparable to the naked eye in my opinion, were probably talking a few percent difference like for like. Could you tell the difference between a 100 watt bulb and a 110 watt bulb if you couldn’t switch between the two? No neither can I, but keep reading and well go through the important factors in getting the brightest sun tunnel possible. Position – Can you sit it on a south facing roof? This will obviously harvest the best quality of light and is desirable, but a sun tunnel doesn’t have to face south as ambient light will still make quite a difference. 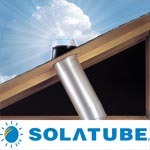 Length of sun tube – What is the length of the tube required internally to transfer the light from the underneath of the roof to the ceiling where you want the diffuser to be fitted. The longer this tube the more “bounces” the light has to make to reach its destination and therefore the more. Which Is Best, Rigid Or Flexible? Flexible tube – Most suited to shorter distances, normally 1.8 meters or less ( 6 feet ). Although cheaper to purchase and install because of faster fitting and a cheaper purchase price, the slightly crinkly reflective material will loose more light in a long tunnel. This is because the minute creases in the flexible tube bounce the light around a lot more than it’s rigid counterpart. Having said that, if you’re south’ish facing and don’t require more than 1.8 meters in length it can produce very good results. Rigid tube – The best option if you are looking capturing the most light possible, if you have a long distance between the roof and the ceiling, or maybe if you cannot fit a sun tunnel on a south face and need to capture the most ambient light. Rigid sun tunnels are really essential for a sun tube length over 2 meters as you will loose a lot less of the captured light. In the average suburban house with an average ceiling height of 8 to 9 feet ( 2.4 to 2.8 meters ) you can expect the sun tubes lights to illuminate an 8 foot by 8 foot area quite well depending on the factors mentioned above. Sun tube lighting – An 8′ x 8′ x 8′ cube, lets call this the sun tubes ‘Footprint’ I will now do my best to describe how many watts of light you will get if you were to stand not underneath the sun tunnel but just outside it’s footprint in comparison to a light bulb doing the same job. I have chosen 8 x 8 because this will give you a practical indication of light and area. 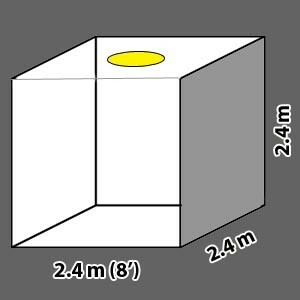 Let me explain further, if you put a 100w bulb in a small box room it would be bright because the light reflects off all surfaces and illuminates an area. Now imagine the same 100w bulb inside a pitch black aircraft hanger, now the bulbs illumination would look very bad. Even though it’s the same bulb and wattage. Now rather than complicate matters about how many degrees to the south or not your house faces, whether its spring or summer or which country you live in, lets just split it up into two camps, ambient light and sun light in spring or summer. I realise this is less technical, but it will probably provide you with more realistic light levels unless you are familiar with the complications of Lux and Lumen. Ambient light – Lets call this an average non sunny day or a house where the suntube is not positioned facing south, here are the light levels you can reasonably expect. South facing sunlight – The ideal sun tunnel install that will supply the perfect light for a sun pipe to fulfil its potential. Rather than lots of pictures to click into and back out of, here I have compiled a video of sun tube installations. They show Velux sun tunnels and Solatube sun tunnels installed in the home in various locations, both Flexible and Rigid. It is difficult to how to explain how much actual light you can expect from a sun tunnel, and can be hard to articulate unless you have fitted quite a few in different situations and seen the effect first hand. 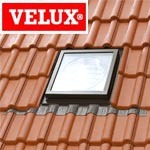 This is quite a good day light calculator from Velux – Velux sun tunnel calculator and provides light levels in Lux. 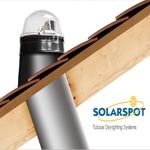 f you have been reading sun tunnel reviews or trying to compare solar tubes, it can be quite difficult. I have fitted two or three different brands for customers who have specified a specific make or model and apart from size, and tube type i.e. flex or rigid it’s almost impossible for me to tell them apart. I would say however go for a well know manufacturer as this will ensure quality and spare parts should something get damaged.